The Life Cycle Initiative has concluded another busy and fruitful year. During 2018, the Initiative continued implementing its strategy by launching projects in each of three programme areas. We delivered a comprehensive project portfolio to realise our mission and vision, that is, to support global sustainable decision making for both the public and the private sectors. The Initiative has been active in providing technical advice for specific sectors (tourism, plastics, chemicals, and textile etc. ), policy themes (national hotspots and footprints, measuring the progressive achievement of sustainable development goals for business), as well as developing life cycle capacity and fundamental life cycle knowledge on (both environmental and social) impact indicators and interoperable data. 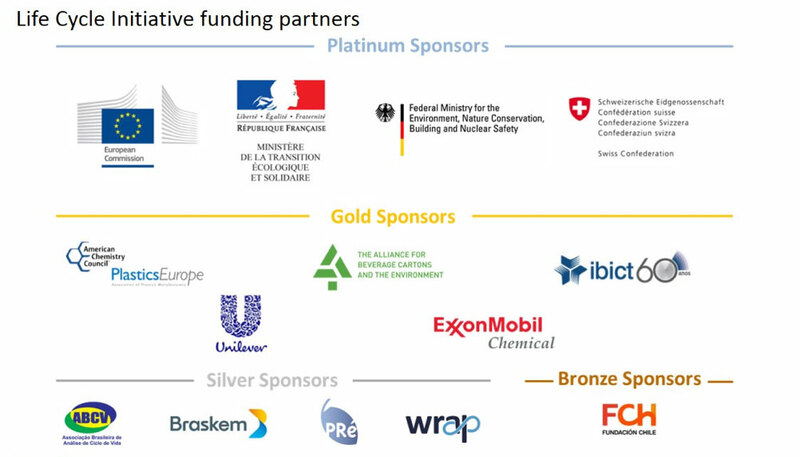 The Initiative’s membership showed steady growth, and we received the support from two new funding partners: Braskem and The Alliance for Beverage Cartons and the Environment. Numerous Life Cycle Initiative members met during the Initiative’s virtual 2nd General Assembly in September 2018, and 3 rotating Steering Committee seats were elected. We established a very effective and dynamic decision-making process with the Steering Committee, with more transparency to members. We would like to take the opportunity to thank all steering committee members for their dedication to make decisions for the Initiative; all project leaders for their hard work to implement the Initiative’s activities, as well as the continuing support from the Initiative’s members and the life cycle community, to contribute to and disseminate the outcomes of our collective hard work. In 2019, we will continue to meet the challenges of the global sustainability agenda by providing technical support, capacity and knowledge to facilitate a broader application of life cycle thinking. We look forward to delivering encouraging results from our scaled-up activities, engagement with high-level policy processes (such as the 4th Session of the UN Environment Assembly -- see article below), as well as strengthening interactions with our members and users of life cycle knowledge. The Life Cycle Initiative is excited to announce a competition to win participation in the CILCA 2019 conference. Winning is easy! All you have to do is to complete the e-learning module on Life Cycle Thinking and tell us how you are using Life Cycle Thinking in your personal or work life. One lucky winner will be selected from the submissions to receive travel support (according to UN rules and regulations) and access to the conference. • Your country of residence (the country you will be traveling from) needs to be in Latin America and the Caribbean region. • You must have completed at least two blocks of the Life Cycle Thinking e-learning module. • You must submit a short description (maximum of 1000 words) of how you are applying the concept of Life Cycle Thinking in your personal or work life and what kind of impact it has had. Submissions can be made in English or Spanish. Note: Members of the Executive Committee of the Iberoamerican Life Cycle Network (RICV), ALCALA Executive Committee, or CILCA 2019 organising committee (national and international) cannot apply to this competition. This competition is held under the REAL project with financial support from the European Commission; kind co-sponsoring by CILCA2019 is greatly appreciated. Please send your submission to Ms. Kristina Bowers by 28 February 2019. Karibu Nairobi katika kongamano la Umoja wa Kimataifa ya Mazingira 2019! The Life Cycle Initiative Secretariat in UN Environment is working at top speed on preparations for the fourth session of the UN Environment Assembly (UNEA4) - leading and supporting events, providing inputs to the Ministerial Declaration, as well as supporting the various Resolutions that member states have put forward. The programme of events and the draft resolutions will become more defined during the coming months and we invite you to keep an eye on the official event webpage. As announced in the September/October newsletter, one of the key cross-cutting themes of UNEA4 is “life cycle approaches to resource efficiency, energy, chemicals and waste management”. This will be discussed from various perspectives throughout UNEA4, including during discussion of resolutions with government officials, panels and pop-up chats during the Sustainable Innovation Expo (e.g. sessions on plastics pollution and textiles); a high-level leadership dialogue on Life Cycle Approaches; or the Science-Policy-Business Forum that takes place on the weekend preceding UNEA4 (9-10 March 2019). During the Science-Policy-Business Forum, the Initiative will be particularly involved in discussions on the role of Science for Decision Making, through the Sustainable Consumption and Production Hotspots Analysis Tool, and the potential opportunities brought by frontier technologies to exploit big data for LCA dataset generation. We hope that many of you will be present in UNEA4. Please contact the Secretariat if you plan to be there and would like to contribute, for example, hosting a side event. To apply for an exhibition slot at the Expo, please visit the registration/planning website. The Life Cycle Initiative will be hosting a gathering/side-event at CILCA 2019. It will take place on Wednesday July 17 between 13:00 and 14:00. The Life Cycle Initiative invites its members, and anybody interested in the Initiative, to join the gathering. More information will be posted soon! If you are interested to join this side-event, please kindly let us know by emailing Mr. Feng Wang. The Life Cycle Initiative is pleased to announce the launch of the Hotspot Analysis Tool for Sustainable Consumption and Production (the SCP-HAT). Together with the One Planet Network and the International Resource Panel, the Life Cycle Initiative commissioned this project and now the tool is finally ready to be used. With the help of our implementing partners, WU Vienna and CSIRO, as well as support from KGM & Associates, an intuitive and online tool is now ready to help countries identify hotspot areas. The tool has already been piloted in Argentina, Ivory Coast and Kazakhstan. Module 1 – Country Profile: Provides the key information regarding the country’s environmental performance, in the context of the most relevant policy questions. Module 2 – SCP Hotspots: Provides a wide range of SCP indicators to analyse hotspots of unsustainable consumption and production at country and sector levels. Module 3 – National Data Systems: Provides the option of inserting national data to receive more tailored results. For further details and the chance try it out yourself, consult the SCP-HAT website. If you have any feedback for this tool and the project, please send your email to Ms. Kristina Bowers. In October 2018, the HUB EPD® LATAM was elected as a Steering Committee member (in the business constituency) of the Life Cycle Initiative. The HUB promotes the communication of the LCA results in a comparable and reliable way, through Type III Environmental Product Declarations (EPD) at national and regional levels. The HUB works under the umbrella of the International EPD® System, and in close collaboration with the Latin American Life Cycle Network and many other partners around the world. The HUB is a business-oriented organization that works towards the sustainability and competitiveness of companies, organizations and products. EPD are standardized tools capable of linking the environmental life cycle performance of products with their competitiveness in the markets worldwide. As a member of the Steering Committee, the HUB brings its specific business perspective to the Life Cycle Initiative that comes from its experience, knowledge, networks, and also from its particular position close to industry, academia and public bodies, in order to actively collaborate in the dissemination and effective implementation of the life cycle approach in the productive sector. Due to the technical characteristics and business orientation of the HUB, it can also contribute to linking LCA projects with other tools, initiatives and trends associated with sustainable consumption and production. UN Environment is conducting a workshop which aims to create a common understanding of key impact drivers and intervention strategies for a sustainable textile value chain on a policy, business, consumer and financing level. The workshop will convene in the UN Environment in Paris, bringing together participants form different sectors and regions of the world. This workshop is by invitation only; the outcome of the workshop will be communicated in future newsletters. After the successful 1st workshop in February 2018, the consultation workshop on a systemic approach to marine plastics will go into its second round. Based on the foundation of the first workshop, which identified key environmental hotspots and intervention points along the value chain, the 2nd workshop will go into a deeper discussion of recommended actions to address the identified hotspots. This workshop is by invitation only, the outcome of the workshop will be communicated in future newsletters. The Life Cycle Initiative is preparing for the fourth session of the UN Environment Assembly (UNEA4) that will take place in Nairobi in March 2019 and will focus on “innovative solutions for environmental challenges and sustainable consumption and production”. This year, one key focus area will be life-cycle approaches to resource efficiency, energy, chemicals and waste management. Since it was created in the Rio+20 conference back in 2012, the UNEA has continued to be the world’s highest-level decision-making body on the environment. The Assembly meets biennially to set priorities for global environmental policies and develop international environmental law. Its focus on life-cycle approaches makes it a huge opportunity for the Life Cycle Initiative to bring its vision closer to reality. The Society of Environmental Toxicology and Chemistry (SETAC) Europe 29th Annual Meeting will feature a variety of training, networking and learning opportunities on the theme “One Environment. One Health. Sustainable Societies.”. One overlying track of the meeting will be “Life Cycle Assessment and Footprinting” and will feature several interesting sessions which revolve around Life Cycle Thinking. >> Consult the event website. The LCM (Life Cycle Management) conference series is one of the world’s leading forums for environmental, economic and social sustainability. The focus is on practical solutions for the implementation of life cycle approaches into strategic and operational decision-making, whether in science, industry, NGOs or public bodies. TOWARDS SUSTAINABLE FUTURE is LCM2019's draft title and the conference will consider the current challenges and prospects in life cycle management. Note that the deadline for LCM2019 abstract submission has been extended to 31th of January 2019. The American Center for Life Cycle Assessment (ACLCA) is hosting its 3rd LCA conference between the 24th and 26th of September. This year, the event will take place in Tucson, Arizona. It is a great opportunity to connect with experts from academia, industry, consulting and, government and NGOs on the latest innovations in life cycle thinking. You can also consult our Events page for more information about the events above. Is there an event coming up in your area? Just let us know and we'll add it to our list. Our funding partner, Unilever, is looking for a motivated sustainability scientist to join their Safety & Environmental Assurance Centre (SEAC) team in Colworth (UK). The experience required includes “Ability to apply Environmental Life Cycle Assessment (LCA) to evaluate products and services”. The deadline for applications is 31 January 2019. Good luck with your application! On-going Call for LCNet Contributions! 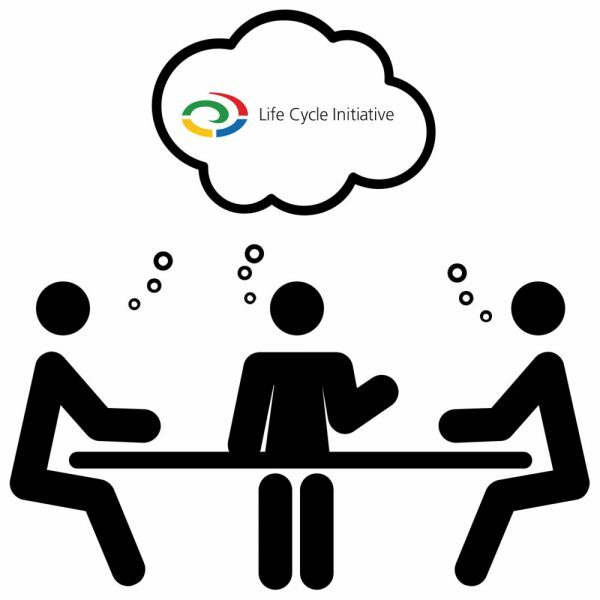 Members of the Life Cycle Initiative, please feel free to submit your event, job vacancy, news, capacity development opportunities, topics and stories related to life cycle thinking and LCA, to be shared with the global life cycle community. We are always looking for featured coverage on the experience how life cycle thiking contributes to different policy agendas, sustainable business and decision making, in various countries and regions. You may send your content to info(at)lifecycleinitiative.org and copy Feng Wang. Note that we cannot accept contributions of a commercial nature. LCNet is released bimonthly in the beginning of January, March, May, July, September and November, so please send us your piece approximately at least two weeks before the release date. We look forward to your contributions in disseminating life cycle knowledge from global policy and business agendas! For more information, please visit our website, or feel free to contact us by email.